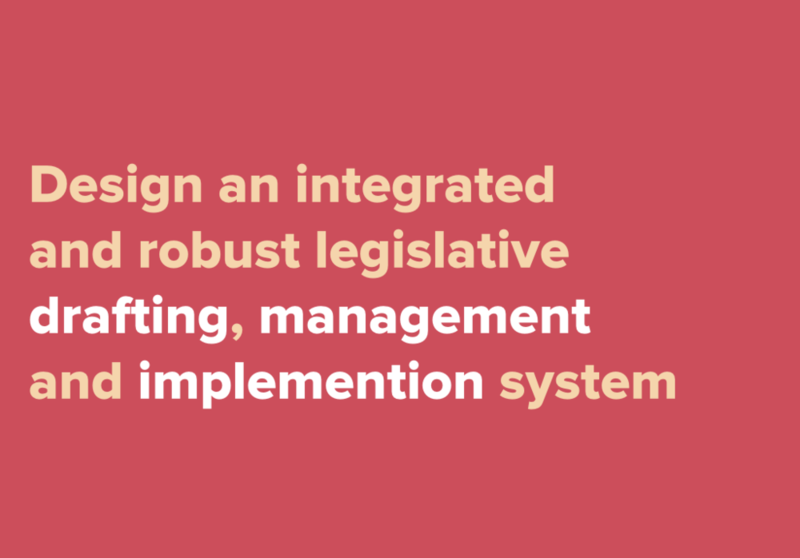 Draft is a better way to write, manage and implement legislation. 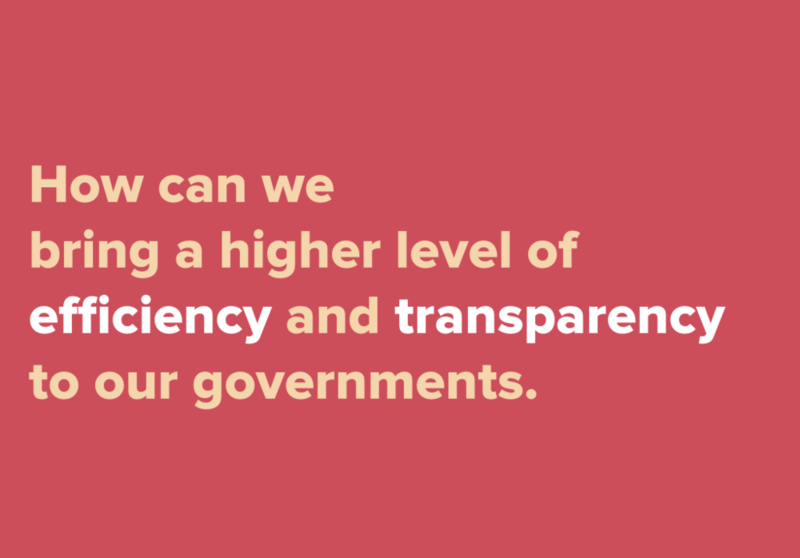 The concept emerged from interviews with numerous clerks and aides in the local, state and federal government. 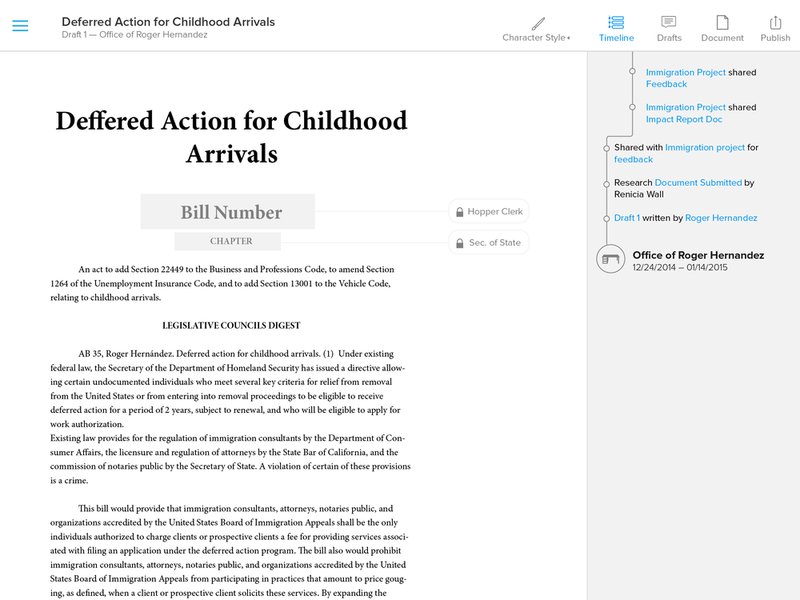 The ability to see the story of a document. 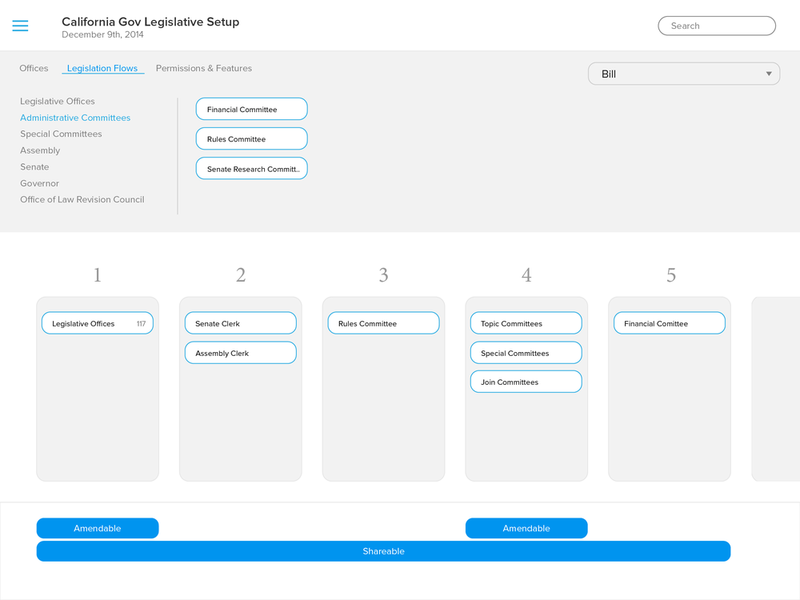 Clerks can custom map permissions and flows based on the governments unique regulations and processes. 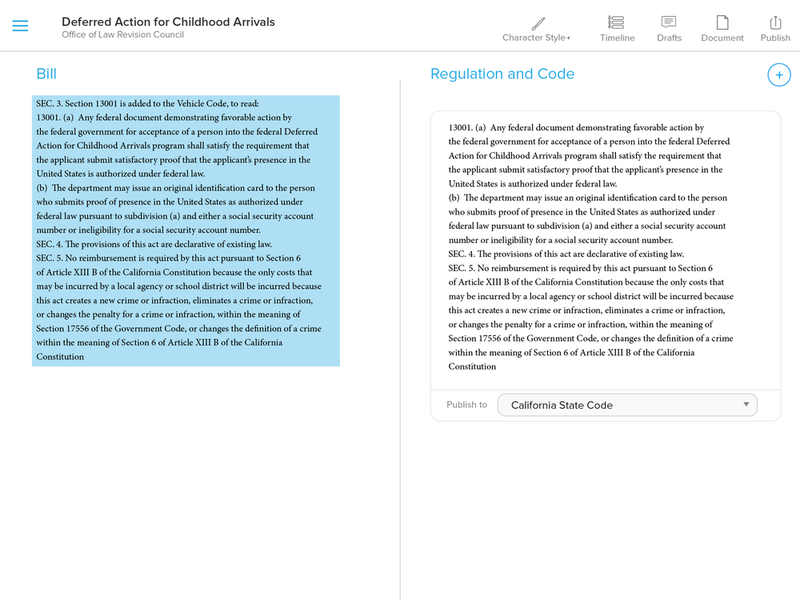 Write legislation using legal language modules. Simplifying the process from writing XML. 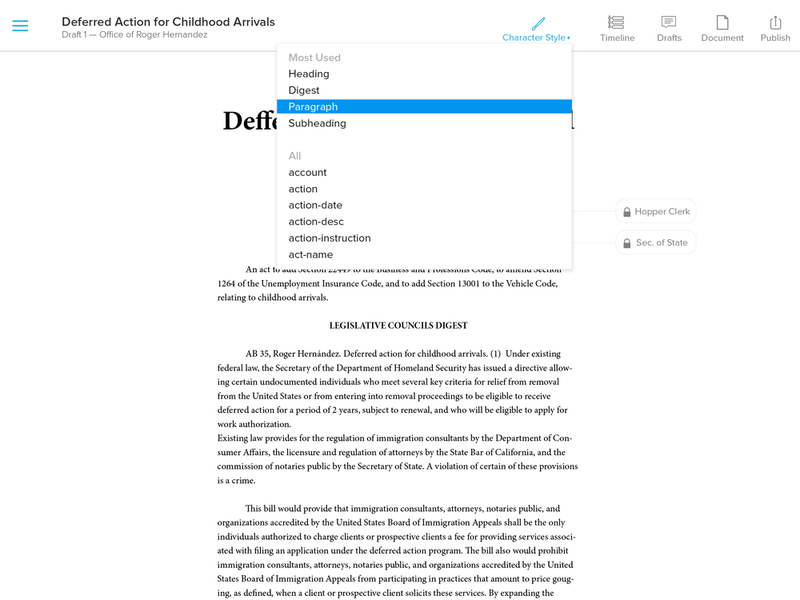 Keep all revisions and drafts in one place. 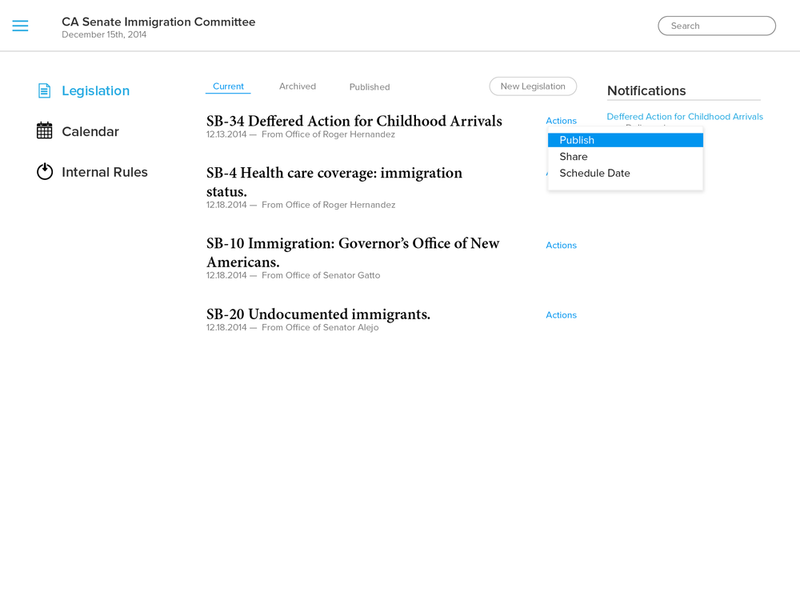 Intelligently publish, share and manage legislation. 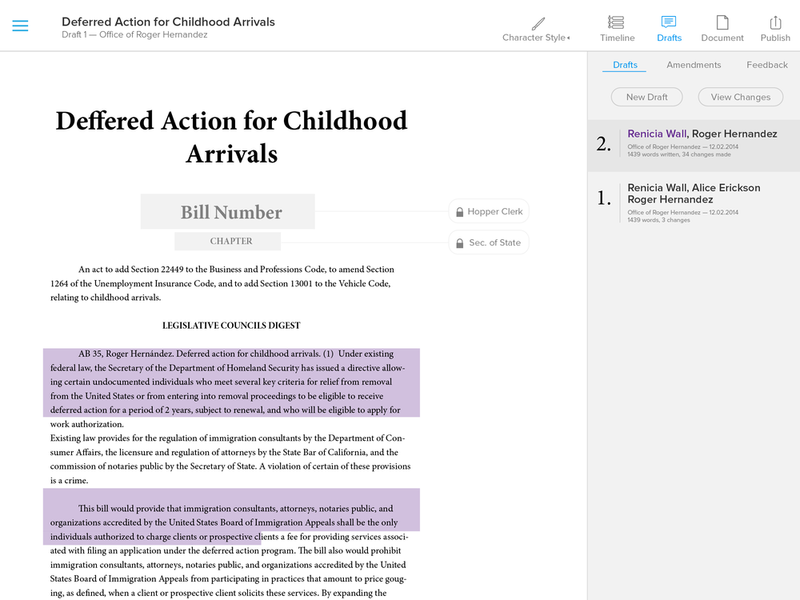 Translate bills to law and publish straight to the civic code or regulatory statutes. What if lawyers had to scrounge for work on mechanical turk.